“Often faced with a growing client base, reduced government funding, and a jumble of intermittent crises, non-profit leadership may find it difficult to crystallize their ideas. Transitions Unlimited helped us to reach clarity on our future direction, with consistent questioning, follow-up, and flexibility. “I had the privilege of working with KC Henry on a 2-year state-funded grant for Geauga County. KC was the project coordinator, and as such, had to manage every phase of the planning process: quarterly reporting to the state, managing volunteers, conducting board meetings, creating work groups, working with the media, and coordinating with county agencies. This was an extensive project which took a great deal of organizational know-how. Expanded from teaching just a few students each week to close to our goal for the year 2000 of serving 1000 students annually. This figure ranks our program as one of the three largest in America. Managed ten consecutive years of balance budgets that grew from a few thousand dollars to a half million dollars this year. 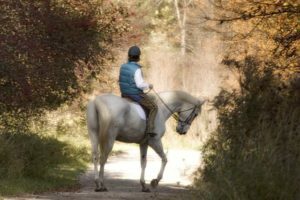 Expanded our programs from offering just riding therapy to including carriage driving, vocational training, summer camp, drill team, EquiClub and more. The list seems endless. Helped to design and build our 45 acre campus and state-of-the-art facility. Managed a successful $4,000,000 capitol campaign that included a $1.5 million endowment to provide financial strength to the program. Developed and built our staff from KC being our first employee to a professional staff of 31 full and part-time employees. Enlarged our volunteer core from a mere handful to over 500 dedicated participants. Through our staff development program she has provided career growth opportunities for all employees while building the very capable team that will take Fieldstone Farm into the future. Her compassion and commitment to our students and this program is evident in every decision she makes. Her tireless work ethic and her uncompromising commitment to student safety and growth are well known to Fieldstone Farm families staff and trustees alike.